Want to find a way to make some extra cash without leaving your home? I know that this is something that many readers are interested in, so I thought it would be a good idea to put together a post on this topic. Whether you are at home raising kids or perhaps have trouble getting around and/or commuting to and from a job, you’ve probably thought it would be nice to be able to make a little income from home. Fortunately, there are plenty of ways to make money from home, using skills or interests that you already have! 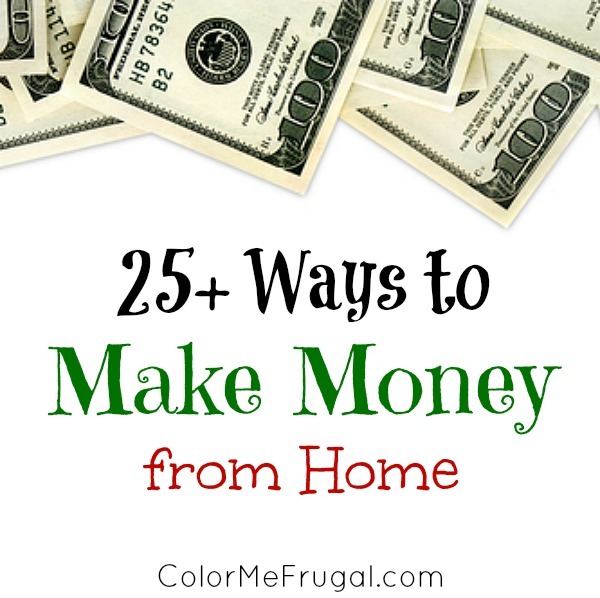 We’ve put together a list of 25 ways to make money from home. Some of these you may have heard of, and others you probably haven’t! We did our best to come up with a great list of flexible, legitimate ways for you to make money from home, on your own schedule. You can either sell your old stuff or stuff that you’ve picked up at garage sales, etc., for the express purpose of selling on eBay. I’ve even sold broken electronics on eBay- but you have to make sure to disclose in the description that the item does not work. I usually recommend that you join at least two survey sites, so that you have more options and surveys to choose from. That way you’ll also be on their list when the higher paying ($10+) surveys roll around. There are several companies that will pay you to install an app on your smartphone. The apps collect data from your phone and helps companies understand mobile device usage better. For example, if you download the Smart Panel app, you will get $5 just for qualifying, $10 more for having the app installed for at least two weeks, and $5 for every month installed after that. For example, check out this post about how one woman started a cleaning business on Craigslist practically overnight, with no prior experience cleaning anything other than her own home. Ok, so you would definitely have to leave your house to go clean others’ houses- but this is a side gig that could easily be scheduled around school and spouse’s work schedule if need be. 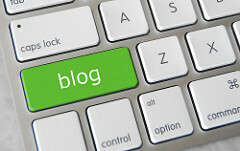 Be warned: it can take a long time to start earning money from a blog. But if you enjoy writing and are able to post regularly and build a solid community, then eventually the money will come. Some of the most common ways to make money from blogging are from affiliate income, sponsored posts, and advertisements such as Google AdSense. Check out How to Start a WordPress Blog in 8 Easy Steps for a great tutorial! This is something that I have seen many bloggers make money from, especially since your own blog is a great advertisement for your writing ability! You don’t have to be a blogger to become a freelance writer, though. There are many companies out there who hire writers for jobs big and small every day. And the awesome thing about writing is that you can do it from anywhere, even in your pajamas! If you are going to be doing internet searches anyway, you may as well get paid to do it, right? All you have to do is take a few seconds and reset your default search engine to Swagbucks. You earn points, or Swagbucks, for searching there, and those points can later be redeemed for either gift certificates or cash through PayPal. You certainly won’t get rich overnight by doing this- but you’ll make more than you would make using other search engines, which is nothing! Got a few minutes to spare? If so, you can use a service like UserTesting.com to get paid $10.00. They will provide you a website that you will visit. They ask you to perform a series of tasks, and then you provide feedback as to how you felt about the experience of visiting that site. Yes, companies actually do pay for this service! They use the results to make improvements on their websites based on the user experiences of visitors. Are you good at Photoshop, accounting, computer programming, photography, or pretty much anything else you could imagine? Then you might choose to use Udemy to create an online course. According to their website the average earnings for a course instructor can be upwards of $7,000. This is a great option if you have a skill that others would want to learn. Or anyone with a college degree and some experience with kids could apply to be an online teacher for a company like VIPKid, to teach English to kids overseas for $17-22 per hour. Can’t think of any service you could sell? Just browse Fiverr.com and see what others are offering- that should be enough to get your creative juices flowing. For example, you could offer to be a proofreader and charge $5 per page. Are you a good photographer? If so, you can sell your everyday photos to sites like iStockphoto. You might be surprised at the things they need and the types of pictures you can make money with. For example, bloggers like me are always looking for pictures of mundane things like calculators, bills, money, etc. A few years ago, I experimented with running different types of online stores. I sold skincare items on eBay for a few years (I bought Mary Kay items in bulk from MK consultants who were going out of business, then I re-sold them individually on eBay). It’s a nice way to make money, and as long as you respond promptly to customer emails/questions and ship quickly, it’s pretty easy. I’ve also had friends who’ve had a lot of success starting their own stores on Etsy. For example, pretty much everyone does at least some shopping online, right? The best way to maximize your online shopping dollars is to shop at your favorite online web retailers through portals such as Swagbucks or Ebates. In this way you can earn rewards for your shopping activity- which you were going to be doing anyway. So you may as well earn rewards while you’re at it! I’ve done some freelance copyediting in the past, and it required zero getting dressed up in order to plop myself in front of my computer. If you have a skill like this that could be done remotely (without having to go into an office), this would be an excellent way to make money from home! Never heard of it? Basically, a virtual assistant, or VA, helps out businesses, websites, blogs, or people remotely by performing required online tasks. This may include anything from responding to web comments or emails, data entry, content writing, managing social media, etc., etc. If you are interested in learning more about becoming a virtual assistant, here’s a great site that gives more info. Here’s a cool idea you’ve probably never thought of before! If you like creating/making things and/or enjoy a good cup of joe, this could be for you! Or hey- even if you don’t like coffee, there’s no law saying that you can’t make money from it. 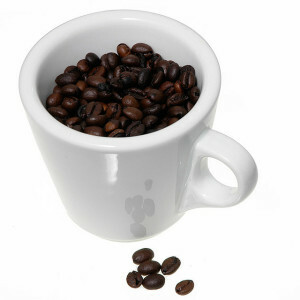 Here’s a great article on how to get started in the caffeine biz! This is one that I’ve done quite a few times. All you need to do is find out when big concerts are coming to your area (or any area; I’ve bought tickets to shows more than a thousand miles away), and be one of the first to purchase tickets online (in other words, get the best tickets you can at the lowest price you can). Then simply re-list the tickets on Stubhub.com or the Ticketmaster resale site. Obviously you need to be willing to shell out money for the tickets if you choose to do this- and you take the risk of potentially not being able to re-sell them. But I’ve been doing this for years and so far it has only backfired on me once- and I didn’t lose money that time, I just broke even and didn’t make money. Entire newspapers, magazines, and blogs have been dedicated to this topic. For some, this can be one of the best ways to create a solid stream of passive income. 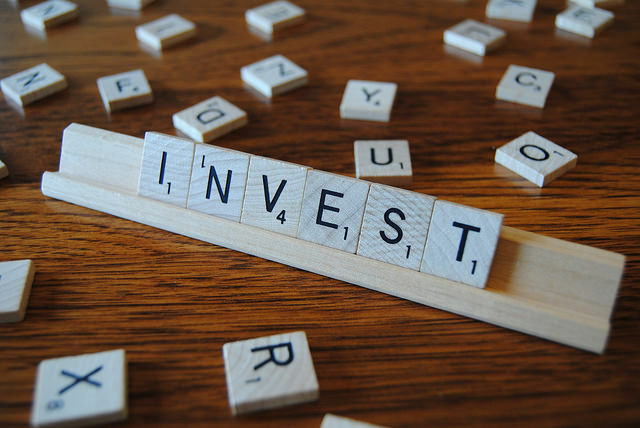 However, investing takes a certain amount of knowledge, not to mention MONEY! It also takes a willingness to think long term and ride out market fluctuations. You know all those coupons you get in the mail? If they are for retailers that rarely offer coupons, those could definitely be worth something! So before you toss them all in the recycle bin, it may be worth checking out eBay to see if you could make money off of them. I personally have both sold and purchased coupons for Lowe’s on eBay, and I know that Pottery Barn coupons often fetch a pretty penny on that site as well. And I’m sure many others! 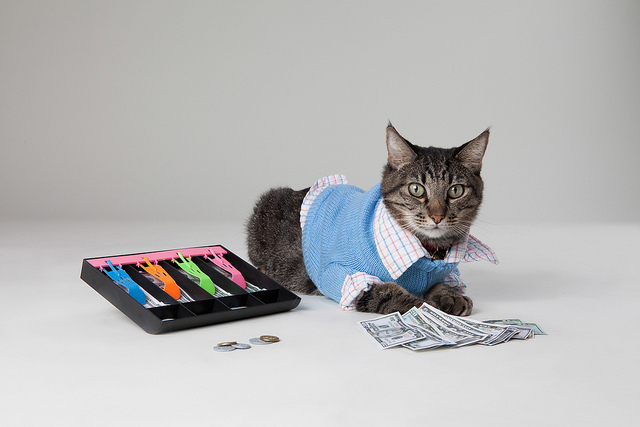 No need to get out of your PJs to make money this way! You might have to clean your place, though. If you are interested in picking up some extra cash this way, check out this link. FYI if you do become an Airbnb host we may be compensated if you sign up through our link. Ok, this one is a little out there, but nevertheless I was super impressed to hear about this couple who made extra money by selling trash/scrap metal from the side of the road. And the best part: they used the money to help pay off their $70,000 of debt!! I LOVE this one! Not because I am so much a knitter myself (I’ve tried, believe me), but because I have a lot of friends who love to knit. There are businesses out there like Stitch Diva Studios that are always looking for knitters to help test and clarify the instructions in the patterns. There is also a testing forum on Ravelry.com, although not all project are paid ones. Some people find test knitting gigs at their local yarn store too. Yes, you can actually make money by watching videos! The good people from Swagbucks will actually pay you to watch short videos online. It’s promotional for the brands sponsoring the videos, and you can earn points, or Swagbucks (which you can later redeem for gift cards) with every video you watch. This is one that I think many people would initially not think of, but there are actually several websites where you can do this. I’ve sold many articles of clothing on eBay in the past, and there are also other websites like Tradesy.com, Loanables.com, and Swap.com. 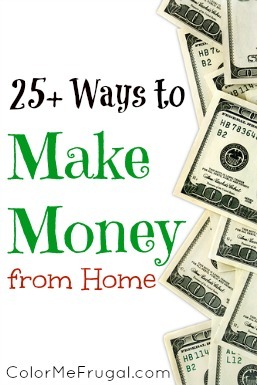 Can you think of other ways to make money from home? Something you’ve had success with? If so, we want to hear about it! Please let us know in the comments. All great tips. Try IZEA for getting paid to tweet. Have you had much luck with IZEA, Brian? I’ve signed up but I seem to only get contacted about opportunities that are completely unrelated to personal finance (vitamins, etc). I’m reluctant to tweet followers with things that seem so unrelated. You gave a few new ideas I hadn’t thought of or really seen before. I have tried some of these with some success but nothing long term or regular. When my Bro-in-Law was hurting for cash he donated Blood Plasma. He claimed to make $400 a month doing multiple donations but I don’t know how frequently he was going in within the guidelines and his time. Helping others and getting paid to do it. Not for everyone and you do have to leave your home to do it. . I had no idea there was a market for coupons. I’ll have to look into that. Definitely do! Especially if they are sent to you in the mail for free, it’s an easy way to make a few bucks. Good list! I plan to promote it/! Thanks for stopping by Preston! Udemy is one of those sites that’s often overlooked but works nicely once you get the hang of it. They’re very supportive – probably because the more you sell, the more commission they make but it means there’s always someone to turn to for advice. That’s excellent to hear that you’ve had a good experience with them! Thanks for stopping by! One to add may be Teachers pay Teachers. You upload lesson plans or classroom lesson ideas and other have the option to buy them. Obviously it works best if your a teacher but playing around with it could generate ideas for anyone who can wrtie. This is also good passive income because you could have multiple sells on just one lesson/activity. I’ve never heard of this one, but it sounds really cool! What a great way to generate extra income as a teacher. I recommend freelance writing as a side hustle. I have a pretty nice side income I can depend on each month.